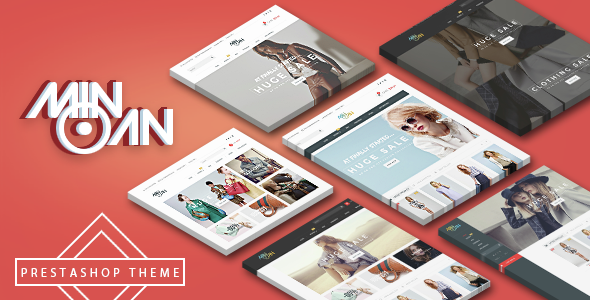 Minoan – Fashion Prestashop Theme is is specially designed for online fashion stores, clothing shop, accessories shop and much more. It’s extremely customizable, easy to use, fully responsive with fully functioned and provides an unlimited style variation. Firstly, it was mixed and matched colors, banners, blocks,… to give the whole layout a gorgeous look. Next, Minoan Prestashop theme has beautiful Slideshow with large images for you to showcase your newest informations, hotest promotions to immediately catch your customers’ hearts.